If you work with women and families during pregnancy or postpartum, the Every Mother Project can support you in myriad ways around working with women who are experiencing perinatal emotional complications. 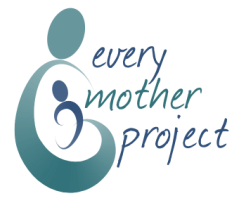 The Every Mother Project provides individual consultations tailored to your field and business to help you create or expand upon your systems and resources to best support women experiencing perinatal emotional complications. The breadth of our experience crosses many disciplines, including mental health, birth and postpartum doula support, lactation counseling, group facilitation, public health, reproductive health, as well as program development, teaching, and professional training. Because of our diverse experience and skill sets, we are uniquely qualified to understand your field and scope of practice, as well as how your work intersects with perinatal emotional complications. We love working collaboratively to identify your needs and support you to meet your goals. Please fill out the following form if you are interested in our consultation services.